The Christmas 2018 is going to be the biggest clash of Bollywood film industry, as the three big films have lined up to release on the long holiday weekend. 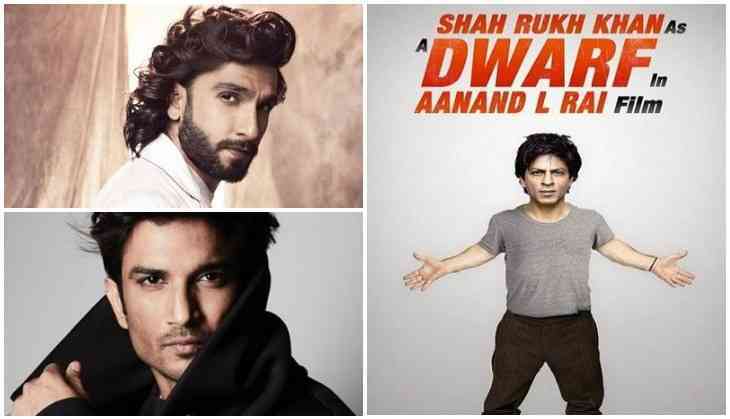 According to the latest reports, the films of Shah Rukh Khan, Sushant Singh Rajput, and Ranveer Singh are all set to hit the screens on the same day on 21st December 2018. It looks like that Sara Ali Khan who is going to make a debut soon on the silver screen is not going to be easy. The newbie actress is going to face the biggest clash at the silver screen with none other than King Khan of Bollywood Shah Rukh Khan. Actually, Sara Ali Khan's debut film Kedarnath is ready to clash with Shah Rukh Khan's film with director Aanand L Rai and Ranveer Singh's film with hit director Rohit Shetty on Christmas 2018. Since it has announced that the Saif Ali Khan and Amrita Singh's daughter Sara Ali Khan will make debut from Ekta Kapoor produced venture Kedarnath directed by Abhishek Kapoor (Kai Po Che, Rock On fame) alongside Sushant Singh Rajput, the fans are eagerly waiting to watch the first glimpse of Sara's on silver screen. The debut of Sara is already a wider discussed and it has become one of the biggest Bollywood events of next year. Now the makers of Kedarnath have revealed the release date of the film and it is 21st December 2018, as they have targetted the long Christmas and New Year Weekend. On the other hand, Shah Rukh Khan's production house Red Chilies Entertainment already has booked the date for their another huge project. #Kedarnath release confirmed... Christmas 2018 weekend: 21 Dec 2018... Stars Sushant Singh Rajput, Sara Ali Khan... Abhishek Kapoor directs. Rohit Shetty already has confirmed that he is going to collaborate with Ranveer Singh for the first time in his career and that too for a remake of a Telugu super hit film Temper. Actually, Rohit Shetty has bought the rights of Jr NTR's film Temper and now he will make the Hindi version of the film with Ranveer Singh. Even Rohit Shetty who is a good friend to Shah Rukh has decided to release his film on Christmas 2018. This is to notice that Shah Rukh Khan's film with Aanand L Rai in which he playing a dwarf will have Anushka Sharma and Katrina Kaif in leading roles. Even it has told that superstar Salman Khan, Madhuri Dixit, Deepika Padukone and others have also done cameos in this film. It looks like that another Om Shanti Om and Saawariya clash is going to happen. Well, it is known that despite that Saawariya was a flop but still Ranbir Kapoor and Sonam Kapoor managed to make their place in Bollywood.